I haven’t started my Christmas shopping yet and to think that it’s already the first day of December on Sunday. I’m not a bit worried about this, though, because there are bazaars here and there that make shopping for Christmas gifts a breeze. We recently went to the Mommy Mundo Bazaar, and we’re heading next to the Moonlit Bazaar at the Rockwell Power Plant Mall. The Moonlit Bazaar is open from 12 noon till 12 midnight at the Rockwell Tent on the following dates: November 16-18, November 30-December 2, and December 7-9. Savvy fashionistas will surely have a blast scouting out things to buy because there are at least 70 participating brands of shoes, clothing, bags, handmade jewelry, make-up and other novelty items at the Moonlit Bazaar. Some of the stores participating in the Moonlit Bazaar are the following: The Christmas Shop, The Gift Hub, Soul Flower, My Ticker Tape Parade, Insignia Designs and Lifestyle, Cocochika, Nima, Flipped OutCockatoos, Armadillo bags, and Ecowallets. Food merchants, like Koori, Moshi Moshi, The Russet, and Pint, will also have their goodies on display. The participating concessionaires will be alternately present in the three-weekend bazaars, and carolers from a charitable organization will also serenade the evening crowd and share the spirit of Christmas with one and all. Proceeds will go to Filipino families in need. For more information visit http://www.facebook.com/PowerPlantMall or call 898-1702. This entry was posted in Christmas Shopping, Rockwell Tent, Rockwell's Moonlit Bazaar. Bookmark the permalink. 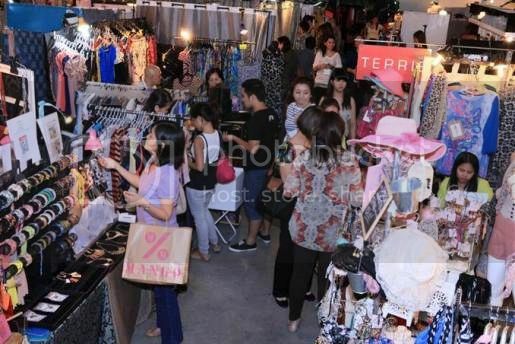 Another bazaar for shopaholics! Good thing that this is until midnight. So many bazaars in Rockwell, I wish I could visit at least one of them. I love shopping tlga especially if there are price down .. they are really tempting. Unfortunately, it seldom happens. 🙁 I wonder when will this stuff to happen here in our place? ← We Shopped at the Mommy Mundo Bazaar!